Italy hosts the biggest Christmas tree in the world: it is located in Umbria and it was personally switched on by the Pope just few days ago. 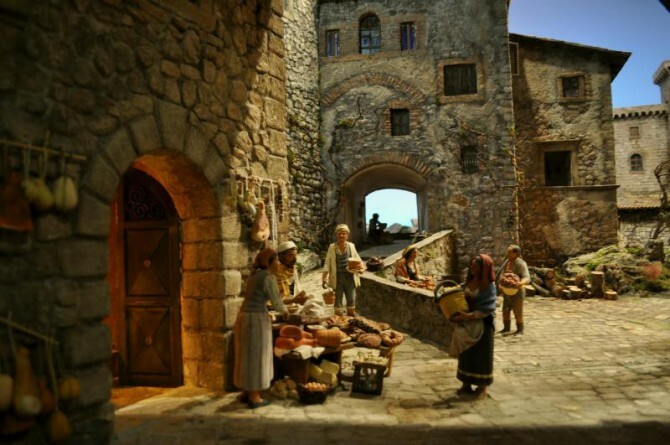 The event was greatly welcomed in the little town of Gubbio, where it took place. 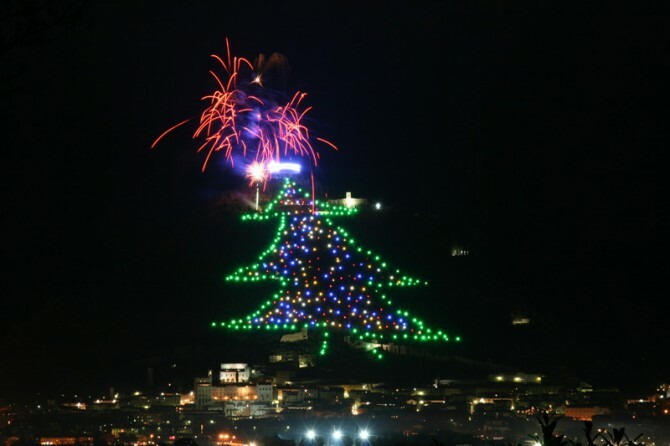 The tree stretches on the ridge of Mount Ingino and is made of more than 500 lights and 8500 electric cables, it’s 650 m high and it’s topped by a 1000 m² wide comet. It will enlighten the valley until approximately 10 January 2015. Thanks to technology, Francis I could power the tree on from His office in the Vatican simply by using a tablet which launched a signal to the electric system in Gubbio; here in turns locals could virtually meet the Pope via teleconference. Gubbio is the ideal destination for a lovely daily trip close to Rome: it’s just 200 km far and it can be confortably reach by train. Contact Hotelrome.net for bookings! If you are looking for traditional Italian handicraft during Christmas time and want to take a break from usual museums, go to Piazza del Popolo and visit the exhibit “100 Presepi” (“One-hundred Nativity scenes”): on display more than 200 samples of nativity scenes from several regions of Italy and abroad, all made out of different materials. Dating back to the Middle Age, nativity scenes building art leaves much room to creativity either in techniques and materials employed. “100 Presepi” will be the perfect choice for your kids as well, since special workshops are set for them. Where: Piazza del Popolo, Sale del Bramante (next to the Church of Santa Maria del Popolo). When: daily until 6 January 2015, 9:30am-8pm. Contact Hotelrome.net for more info on Christmas events in Rome!